I honestly can’t remember how this series even caught my eye but the subject matter (fabulous food, relationships, comics) is certainly in my wheelhouse. This was actually my first time reading manga so it was a fun experience to adjust to the different reading format. The story focuses on two men who are in a relationship. Shiro is a high-powered lawyer who reveals nothing about his sexuality at work. He enjoys spending his free time cooking delicious meals for himself and his partner, Kenji. Kenji works as a hairstylist and owns his sexuality. They occupy very different worlds but they bond over their shared meals. 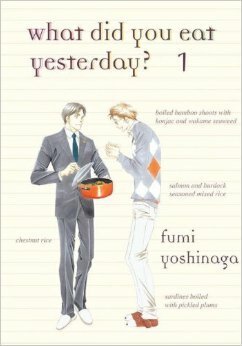 Yoshinaga offers detailed descriptions of the food Shiro prepares and also includes recipes at the end of each chapter. I appreciated the artistic styling of the book and I’m actually curious to see how Yoshinaga further develops the main characters. There are a lot of plot points introduced in this volume and I’m intrigued by how they might get resolved. I’d give another volume or two a try before making my final decision on the series though as you can see from my star rating, I wasn’t blown away by any means. I enjoyed Sloan’s previous book, Mr. Penumbra’s 24-Hour Bookstore, so when I heard that he had a new book coming out I immediately added it to my “to-read” list. Then it seemed like it was getting blurbed and buzzed about all over the place so I grabbed it off the shelf when I was at the public library (#librarylove). 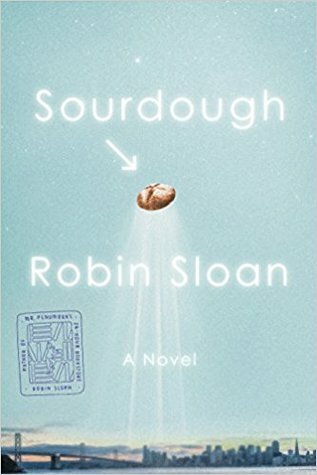 Sloan has a knack for writing unique books with a quirky twist and his sophomore novel only proved that. Lois has never made bread, but the responsibility of keeping the starter alive prompts her to start. At that point there’s no turning back. The bread is amazing and as she gradually introduces it to the people in her orbit she is encouraged to try selling it at the local farmers market. When she auditions for a spot she finds herself selected for an underground market that’s not open to the public. People are doing all kinds of experimental things with food down there… and her contribution is her sourdough (compliments of the unique starter that was gifted to her) and the robot arm she tries to program to help her make it. It’s hard not to just try summarizing the book. But at the same time, the book isn’t the easiest to summarize. Sloan has a way of deconstructing our society and the things that fascinate us that intrigues you and keeps you reading. If you’re looking for an entertaining read Sloan is your guy. If you also happen to love reading about things that are food-related (which is ALWAYS me) you’re in for even more of a treat (and some sass toward “foodies”). For a more in-depth breakdown of the book you can check out this review from the LA Times. 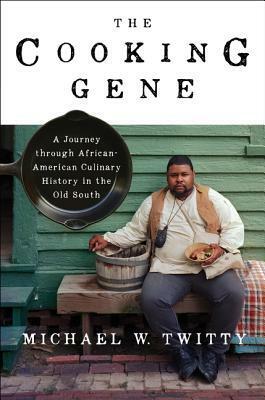 The premise of Twitty’s book is to explore how African-Americans influenced Southern cooking as we know it today. He uses his own family history to trace this influence. It was interesting to learn about slaves being sent abroad to learn French culinary techniques so they could cook the cuisine their owners wanted. I also appreciated learning a bit about how slaves adapted to their new surroundings by seeing what was comparable to food they had back home or by finding ways to introduce their own culinary traditions to the new world they were a part of. This book had received such acclaim and it dealt with issues I love reading about (food and race) that I was eager to finally pick it up. But it didn’t deliver for me. There are people that thoroughly enjoyed it, I just think it was billed as a different book than what it actually is. A considerable amount of the book was spent going through Twitty’s genealogy. Unfortunately, it read pretty dry to me and I felt like more time was devoted to figuring out his heritage (valuable, to be sure!) 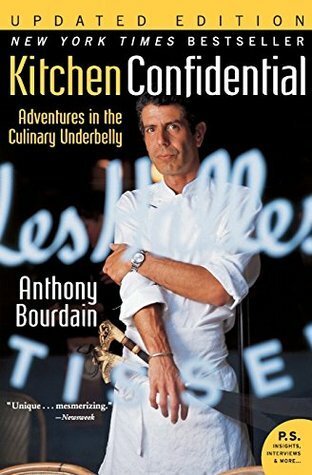 than talking about the culinary component (the whole reason I picked up the book). Like I said, some people loved this book. I didn’t find the writing particularly compelling. 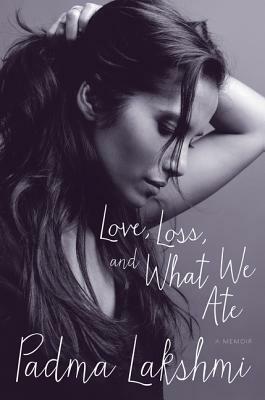 The focus of the book should have been more on the food than on Twitty. I did learn some new things, but it was a slog trying to get through the book. Junkie chef telling great stories. 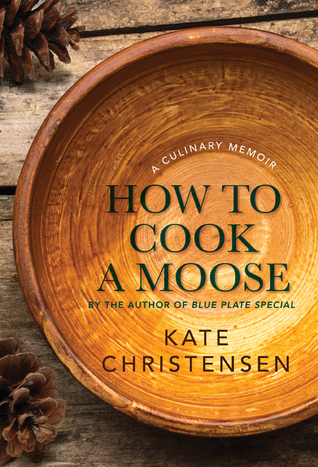 A culinary celebration of Maine. Wedding Cake Murder by Joanne Fluke is another novel in the Hannah Swensen Mystery series. In this novel, Hannah and her sister are making a trip to New York to participate in the Food Channel’s dessert chef contest. When Hannah wins the first round, the dessert chef contest with its contestants and four judges is moved to Hannah’s hometown of Lake Eden, Minnesota. Unfortunately for Hannah, one of the four judges is murdered in Lake Eden. As usual, Hannah is determined to help find the murderer. One of the ongoing storylines in the Hannah Swensen Mystery series is if/who Hannah will marry. For the majority of the series, there have been two suitors. In the previous novel, Double Fudge Brownie Murder, a third suitor was added. In Wedding Cake Murder, Hannah finally marries. Even though the Hannah Swensen Mystery series always contains a murder mystery, I keep reading the series to find out what happens to Hannah and her family. Now that the suitor question has been resolved, I wonder what the next book in the series will reveal. Will there be more “mystery” in the murders or will a new plot line be developed? Will there be even more recipes? I guess I need to read the next book in the series to find out.